On 1.-2. November, SmartEnCity project partner University of Tartu organised a planning conference. More than 350 participants from Estonian research institutions, public, private and third sectors were participating and discussing topics related to spatial planning. 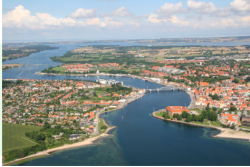 How is Sonderborg municipality achieving its goal to become CO2 neutral by 2029? Read the new SmartEnCity Network article on milestones, further steps to take and an interview with Peter Ratje, managing director of ProjectZero. New Network article: How is SmartEnCity contributing to zero carbon cities in Europe? Part 5. David Drysdale covered the series of articles describing the SmartEnCity approach to zero carbon city development where he explained the theory behind the four phases of Integrated Energy Planning. Part 5 "Finalising and following the Integrated Energy Plan – The role of local authorities" is the last one from these series. SmartEnCity follower city Asenovgrad and Sofia Energy Centre took part in the Eurocities Mobility Forum that was held from 10 to 12 September 2018 in Burgas, Bulgaria. Under the motto of “Smart mobility: a clever move” the forum gathered over 70 participants among which representatives of cities from all over Europe i.e. Gdansk, Groningen, Karlsruhe, Lisbon, Lyon, Mannheim, Munich, Oslo, Stuttgart, Tallinn, Toulouse, Utrecht and Vienna. Several Bulgarian cities had also been represented, these were Burgas (as the event host), Asenovgrad, Sofia and Gabrovo. 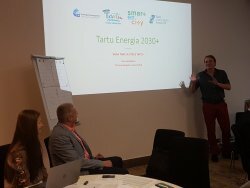 "Tartu Energy 2030+" was the title of Tartu's first SmartEnCity energy planning workshop on 15th October, bringing together more than 40 representatives from all kind of public and private fields being tackled by this topic. A large-scale mural titled “Gateway to Karlova” by artist Katrin Piile now decorates the façade of Kalevi 10 in Tartu. The making of the artwork was supported by the Tartu smart city project SmartEnCity. All pilot area buildings that will be renovated in the SEC project will not only become smart but also eye-catching. 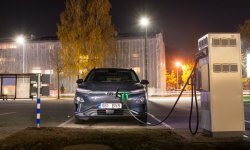 Sonderborg municipality has recently won the EU’s prestigious award “Covenant Cities in the Spotlight” for its results with regard to the city's and the area’s vision about becoming CO2-neutral by 2029. New Network article: How is SmartEnCity contributing to zero carbon cities in Europe? Part 4. Part 4 of this series is focusing on stakeholder engagement. The energy system transition is a multi-criteria complex situation and the complexity of the energy system transition needs to be understood. Therefore, stakeholders are a central component in Integrated Energy Planning.